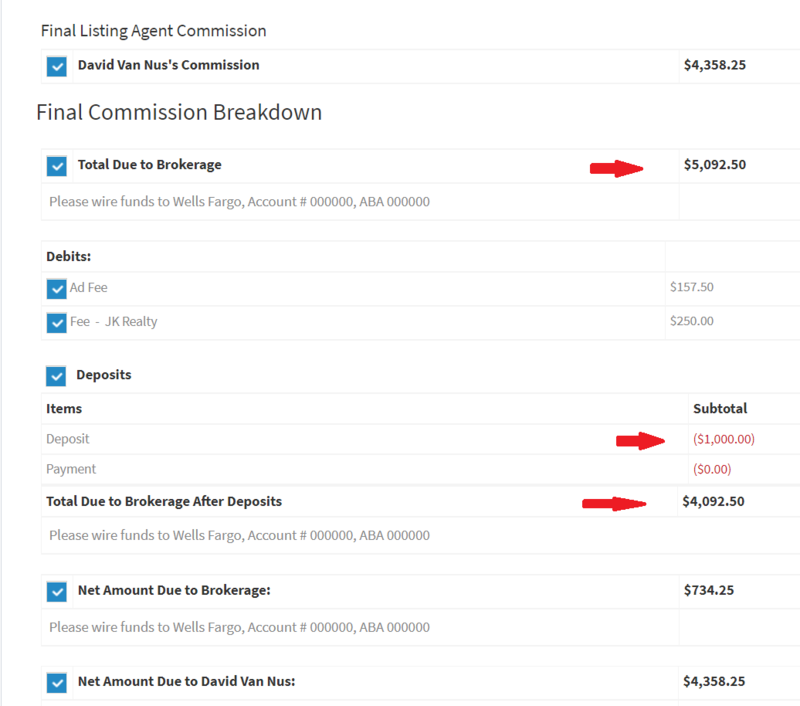 This section is simply a tracking log for deposits you are holding on the account for the transaction. You can enter the date received, who you received it from or who it was paid out to, a description, the amount, date of the deposit, the amount paid out, check number and the date of the check. If you select yes show on disbursement you can see below the deposit will be on the disbursement, once it has been created and it will update the amount to the brokerage according. In the master account you can filter by date range, you can view your balance and export your information.